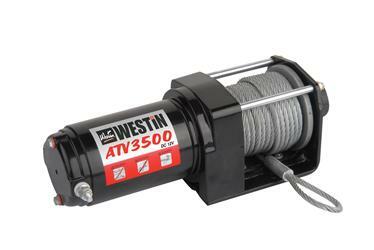 T-MAX All Terrain Winches (ATW) range from 4500 To 6000 Pounds in rated line pull. Equipped with a strong motor to tackle the toughest of terrains. Ideal for All Terrain Vehicles (ATVs) in size (14.6 To 15 Inch) and weight (37, 44 Pounds). Highly visible body and durable casing to withstand intense use.